Great brands are more than just words. Great brand names evoke emotion, inspire engagement and provoke discussion. The greatest brands, however, are those that tell a story. Gemini.com is one of those great brands. The Winklevoss twins, Cameron and Tyler, founded the Gemini Trust Company in 2012 as part of their journey and commitment to the future of Bitcoin. This commitment includes the pursuit of an ETF named the Winklevoss Bitcoin Trust and a Bitcoin price index called WinkDex. Both brothers have continued to be passionate about this sector of the cryptocurrency space, and Gemini Trust Company was launched in 2015 alongside a banking relationship with a New York State charted bank. This relationship was not only one of the cryptocurrency industry’s first key moves closer to Wall Street recognition, but also provided individual and institutional investors with the protections of FDIC insurance. However, there are a few stories here. We already know the story of the Winklevoss twins and Mark Zuckerberg. We also know that the Winklevosses have been a driving force behind Bitcoin in an industry that (like all new technology) depends on such recognizable support to launch. The brand story behind it all, though, is the reason they choose Gemini as their company’s name. In 2015, the Winklevoss brothers also acquired the domain name Gemini.com for an undisclosed sum. 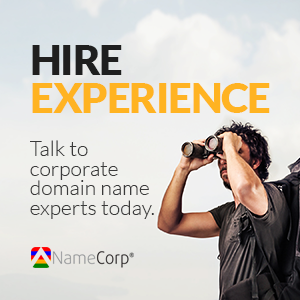 While the NDA may tell a story of a high-priced domain name sale, the real value lays in what the brand name says to them. Branding is so much more than a catchy name. The Winklevoss twins have an engaging story to tell about their company until the end of time. One of interest. One that inspires. And one that discounts their fame and elevates their branding knowledge. Can you do that with your brand?